A secure website (HTTPS) justifies its identity with your browser by sending a certificate validated by a recognized certification authority. 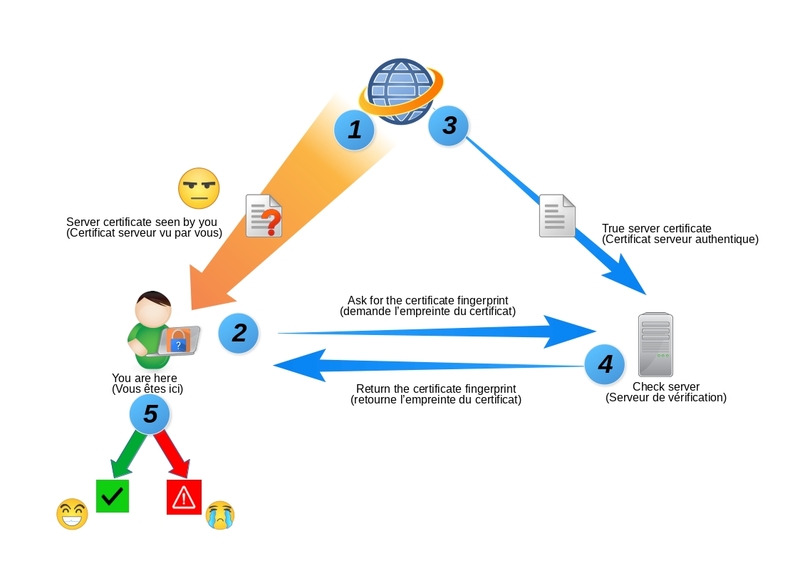 Interception techniques, to be able to work, dynamically forge false certificates (a bit like a fake identity card). We compare the two certificates (5). If they differ, your connection is tapped. 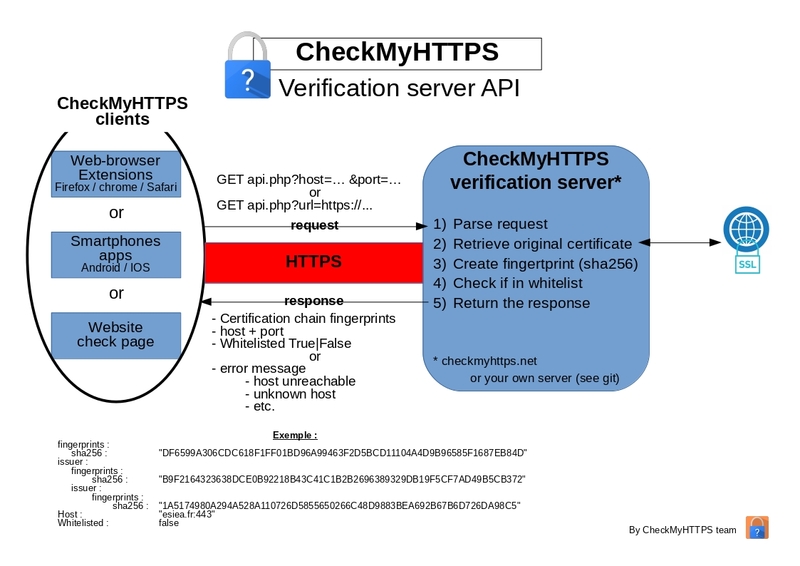 * this server is by default « checkmyhttps.net ». You can install your own server (see documentation on CheckMyHTTPS GitHub).